We have made several enhancements to the ATS functionality within the system. 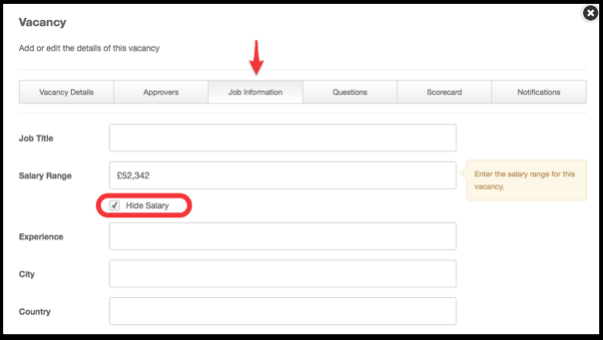 Hide salary from applicants - Whilst you have always been able to input the salary of a vacancy within the Job Information screen, you will now have the ability to hide this information from applicants when they apply for this vacancy. Tip: To make this option available for existing vacancies, simply delete the salary and input the info back in. Post internal/external job vacancies - Within the Vacancy Details tab (the first page when clicking on an existing vacancy, or when creating a new one) you will now find the option to select whether you want the vacancy to be internal, external or both. This choice can be changed at a later date. You will now see that there are two different RSS Feeds. One for internal vacancies, one for external. To find these RSS feeds, go into your Settings tab, hit ATS, and then select the RSS Feed option. New notification when vacancy approved or declined - The creator of a vacancy will now receive an email when the vacancy has been approved or declined by the Job Approver. CC and BCC email addresses: We have added the option to CC and BCC anyone into emails sent from within the ATS – such as when arranging an interview. This option is also available when creating email templates within the Settings > ATS. If you add a CC or BCC address to a template, this will be saved as well as the template content. Internal questions - Within the ‘Questions’ tab of a vacancy, there is now a different question type - internal questions. You can use this to ask a colleague a question about the candidate, without the candidate seeing the question or answer. 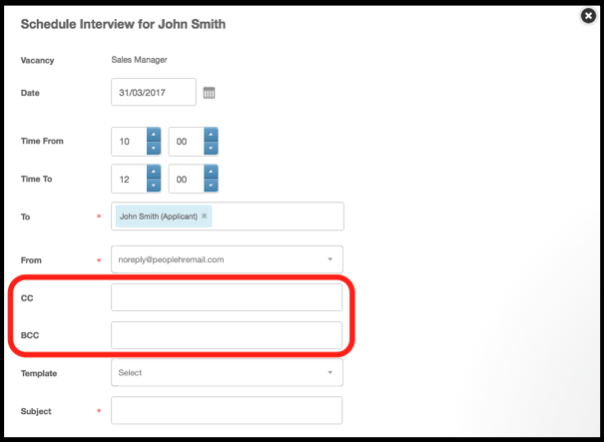 Mail Merge (interview) - The [[Time and Date]] mail merge field will now also include the interview ‘From’ and ‘To’ time to save you having to edit your email templates as often. Auto-respond to new applicants - Another small addition to the ATS is the ability to send an automatic acknowledgment email to candidates when they apply for a vacancy. To customise this, please go into Settings > ATS > Application. You will need to create an email template for this. 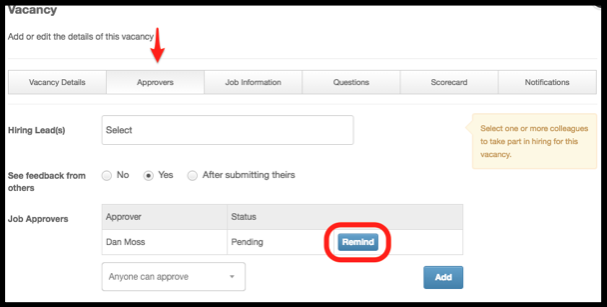 Reminder to Job Approver - The individual that has created a job will now be able to send a quick reminder to the Job/Offer approver as a prompt if they have not yet seen to the Job or Offer. This reminder will come in the form of an email. 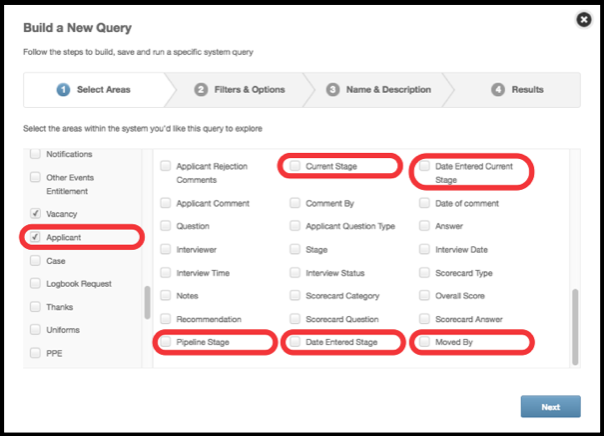 Querying the Timeline of stages - You will notice that we have added some more selected areas to the query builder in order for you to report on when applicants enter each pipeline stage. Show help text of segments - Within the Performance Review Settings, you are able to input a ‘help text’ that goes along side each segment, mainly used as a guide/reminder for the creator of the review. 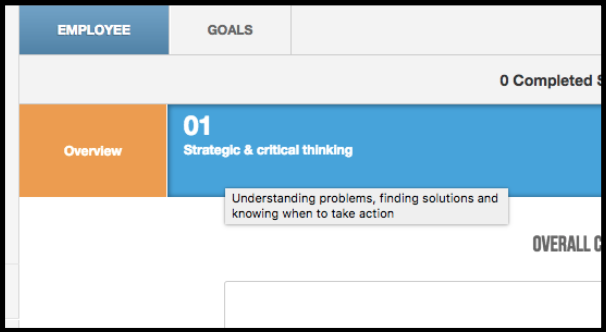 This help text will now be shown to employees when they hover over each segment, much like a tool-tip. Bulk update employees work pattern - You will see that there is now an extra option within the bulk actions tab. 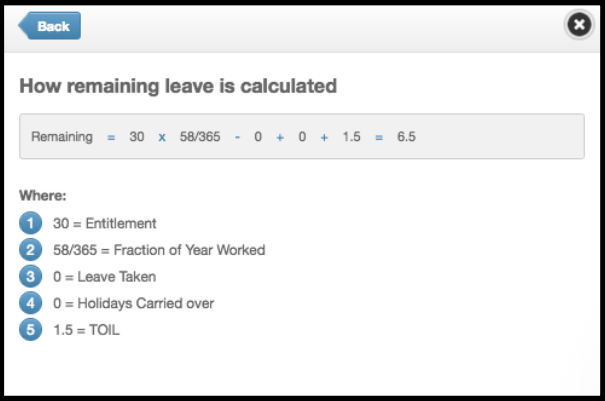 We have given you the ability to assign a number of employees to a set working pattern in bulk. 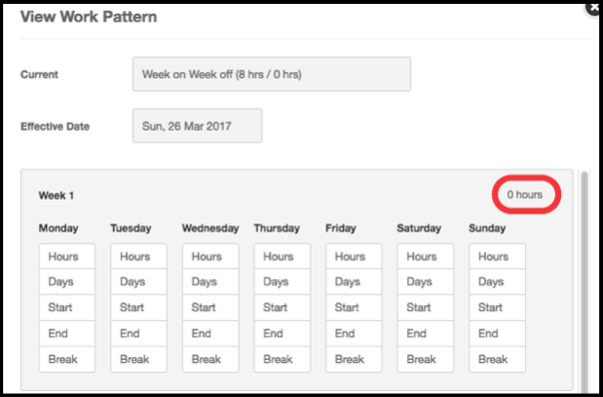 0 hours in rotating work patterns - A lot of our customers have employees that work on a ‘week on week off’ rotating work pattern. You are now able to add a 0 hour week to a rotating work pattern in order to present this correctly within the system. Mail merge fields - We have added some new fields for your Mail Merge tags. You are now able to merge an employee’s [[Continuous Service Date]] and also an employee’s direct report’s [[Manager Email address]]. Request Comments - Comments added by an employee when they request a Holiday/Timesheet/Other event will now be presented within the request email received by the manager. Maternity/Paternity leave is independent - You are now able to book a Sickness, Holiday or Other Event over Maternity/Paternity leave so you won’t have to worry about deleting future events before inputting Maternity/Paternity leave. Pending Logbook Requests - Admins are now able to delete pending logbook requests. When going into Authorisations > Logbooks and then clicking on the logbook request, you will see a Delete button in the bottom left hand corner.